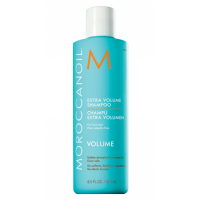 Extra Volume Shampoo contains antioxidant argan oil and nutrients to cleanse, detangle and bring back body to hair. It beautifies hair with shine, manageability and movement, while making it easier to style. The formula is free of sulfates, phosphates and parabens, so it's safer for the environment and won’t dry, fade or strip hair of color. Because Extra Volume Shampoo uses a highly concentrated, water-loving formula, begin by using plenty of water to activate the shampoo into a rich, luxurious lather. Add more water if necessary. 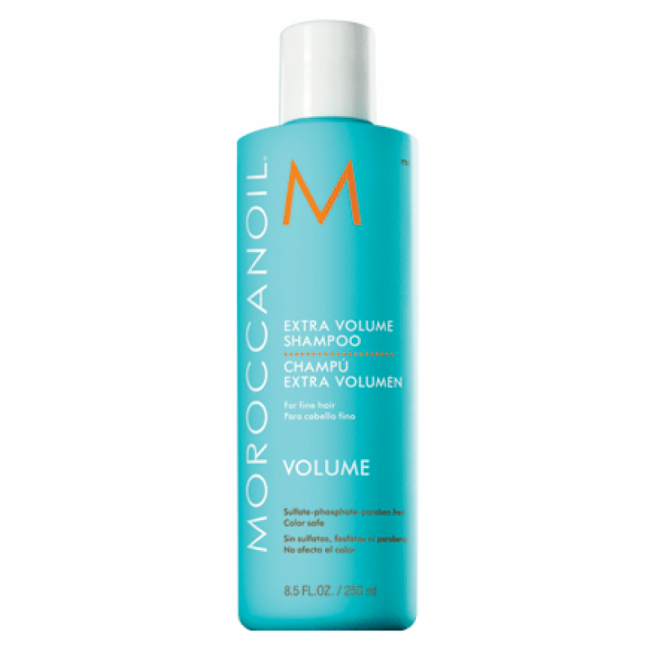 Gently massage throughout hair and scalp to stimulate the volume-boosting properties. Repeat if needed. Rinse and follow with Extra Volume Conditioner.